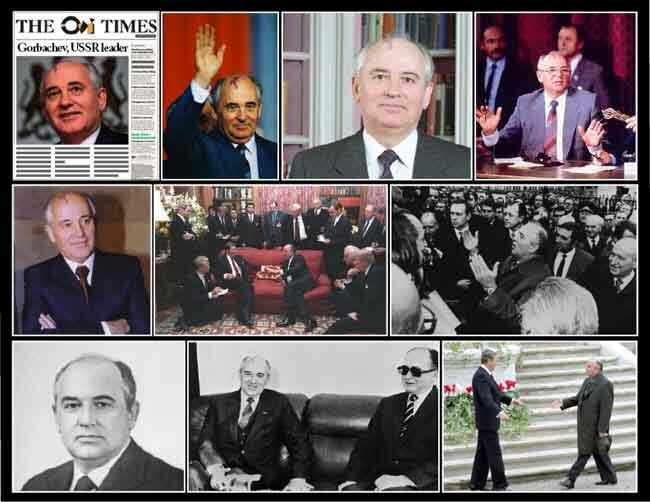 March 11th 1985; Mikhail Gorbachev took over following the death of Konstantin Chernenko. Chernenko, 73, died after a long illness. Sombre music preceded the news on radio and television and scheduled programmes were cancelled. The speed of naming of his successor - at 54 the youngest man to take over as general secretary of the Soviet communist party - has taken people by surprise. Mr Gorbachev's acceptance speech gave a hint of the changes to come. He spoke of his desire to freeze the deployment of weapons and reduce the international nuclear weapons stockpiles. “Nobody can step into the same river twice” quipped Heraclitus and he had a point: everything changes constantly, but enter Parmenides with his “all is one.” Now we have a contradiction on our hands. But perhaps it is only a paradox and the likes of Croce and Vico can explain the paradox to us: how do we perceive the universal via the particulars of the natural world? Via history answer Vico and Croce and Marx pipes in: those who don’t know their history are bound to repeat it. Changes are bound to come. How do we interpret those changes is up to us.